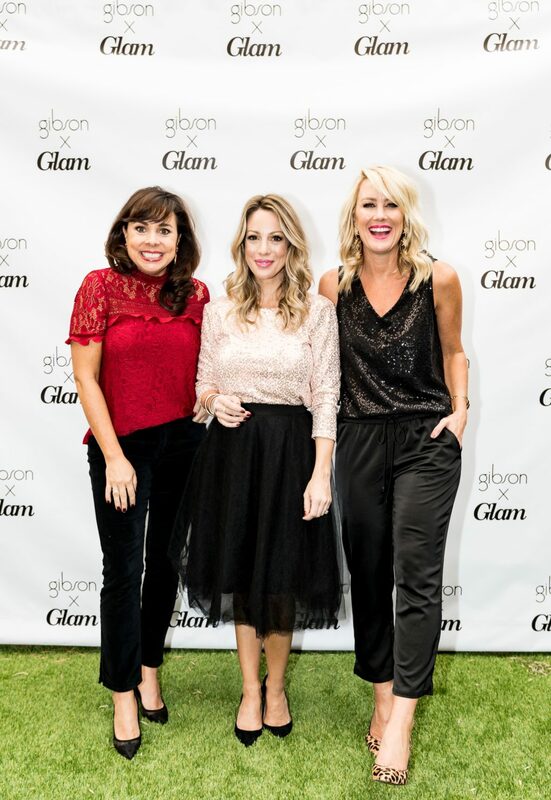 The Gibson x Glam Holiday Collection is Here! | hi Sugarplum! 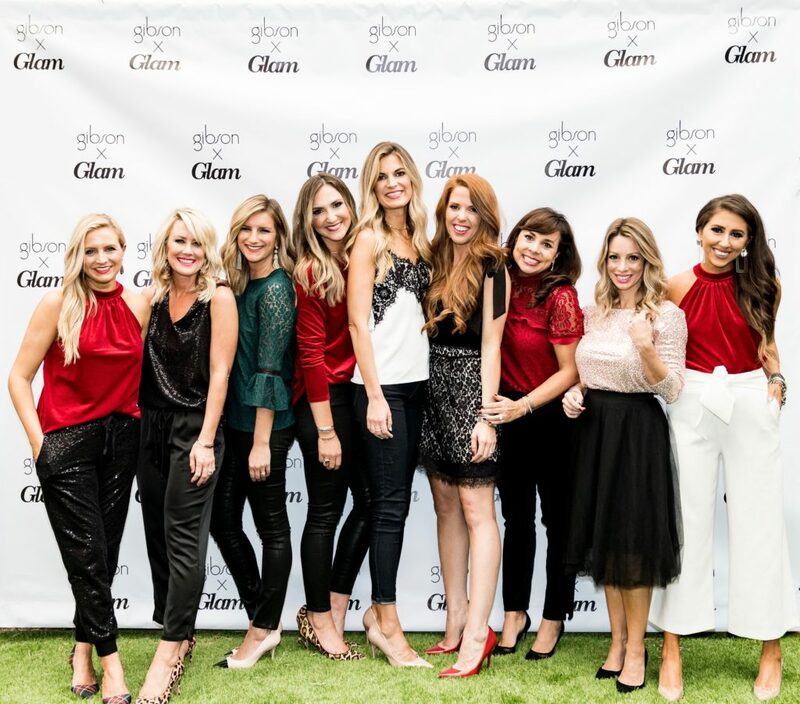 The day has finally come…I’m so excited to share the Gibson x Glam Holiday Collection with you! You may recall, my friends at Gibson invited nine influencers to help create a namesake holiday piece, then flew us to LA to shoot the collection exclusively for Nordstrom! #bamwhat! 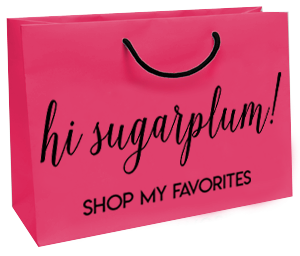 I discovered with the Gibson x Hi Sugarplum Collection just how much I love the entire design and production process, but nothing compares to sharing the final pieces with y’all! When creating my signature piece, I knew I wanted something equally sassy and classy, and easy to dress up or down. I wanted the cut to be modest, yet flattering, and the piece to work beyond just the holiday season. And I think they nailed it!! 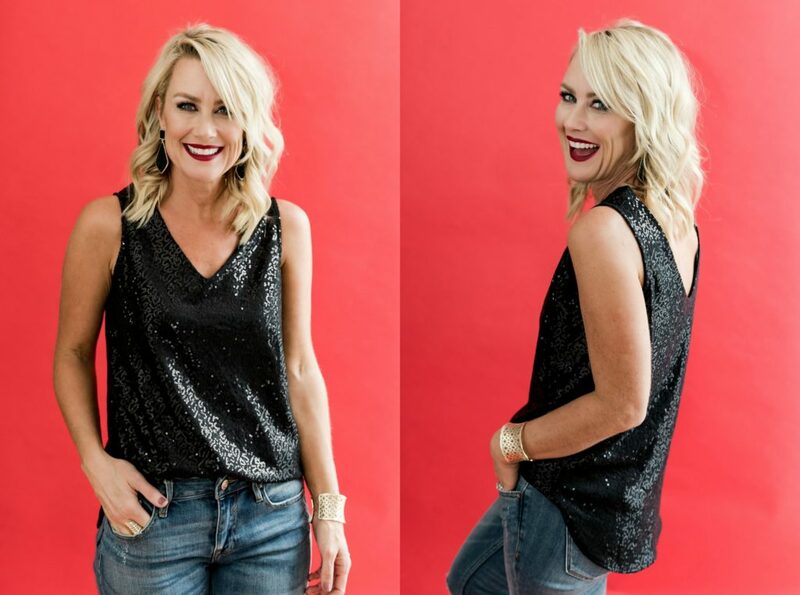 Introducing, ‘The Cassie Sequin Tank’!!! 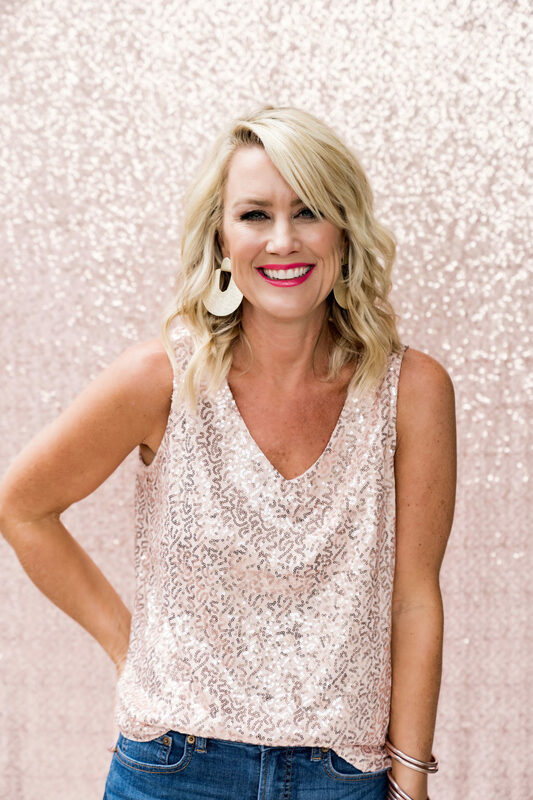 I mean hello, blush pink and sequins….could it be any more fun!? I love the double v-neck in front and back, for a little peek of skin, yet it’s completely bra-friendly. 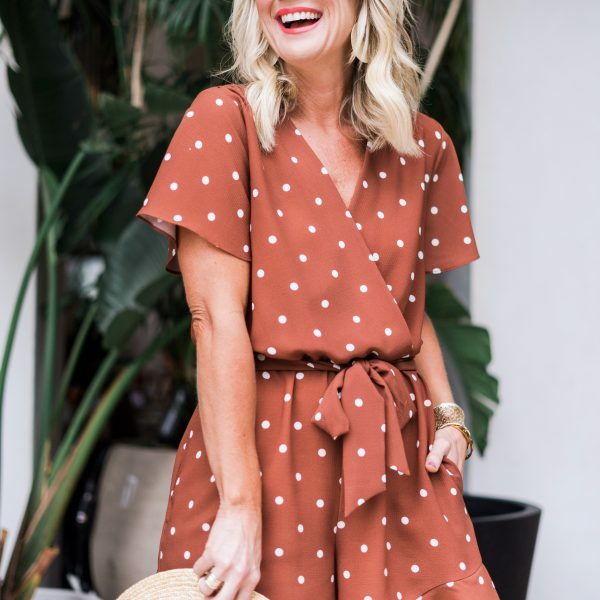 The fabric drapes beautifully and can be worn untucked, half-tucked, or fully-tucked, depending on the bottoms you pair it with. I’ve paired it with jeans, but would tuck it into a pencil skirt or trousers for dressier events (I’m looking at you, work party!). Cropped pants, joggers, even a full tulle skirt…it would be darling with all of them! And don’t get me started with layering. Peeking out of a blazer? Yes ma’am!! The sequins are small and exquisitely sewn, giving it a subtle pop of festive. Obviously I’ll wear it all holiday season (Christmas parties and New Years! ), but the colors make it perfect for a fun night out year-round. Fit Tip: I’m wearing an XS, and it fully covers my bum. 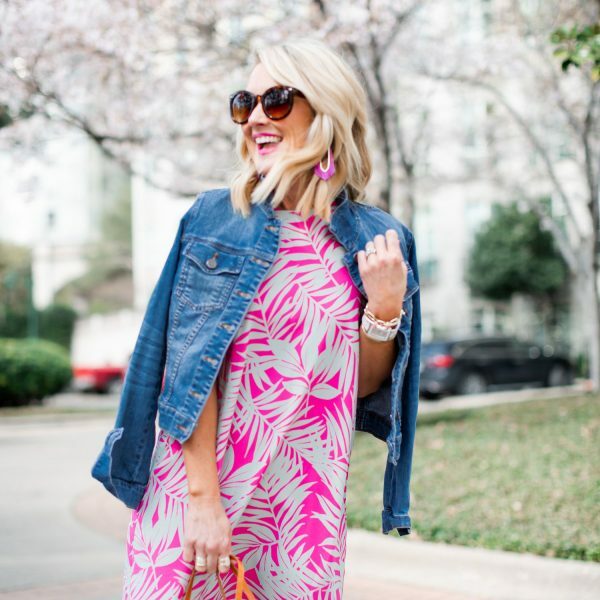 Size down if you want a closer fit, or opt for petite for shorter length. I’m crazy for the pink, but you know we had to make it in black, too! 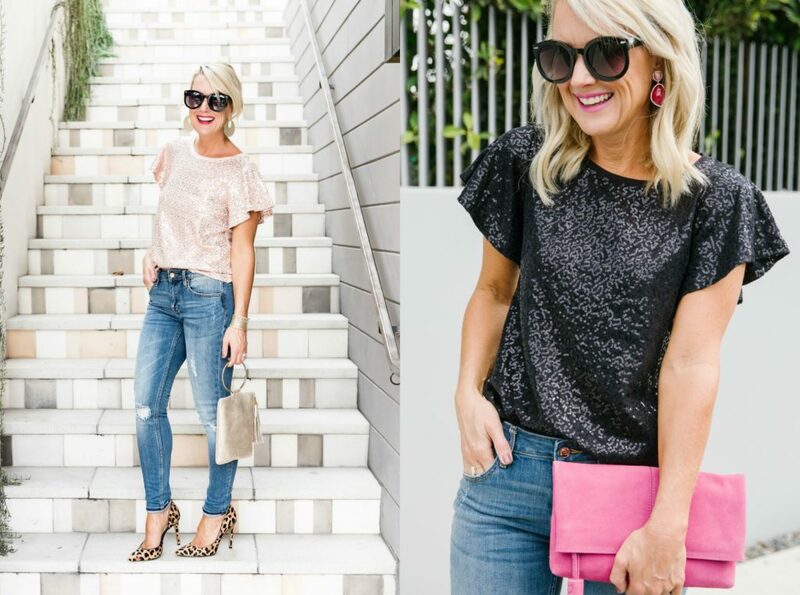 I’d definitely consider the black a closet staple…so easy to pull out anytime you need a touch of pizzaz! And this silhouette never goes out of style. For a dressier look, I went all black pairing the top with satin joggers (also part of the Gibson x Glam Holiday Collection!) and a pop of leopard. Fit Tip: I’m wearing XS in the joggers, they’re true to size. I am so flattered to be included on such an amazing project with these beautiful women! 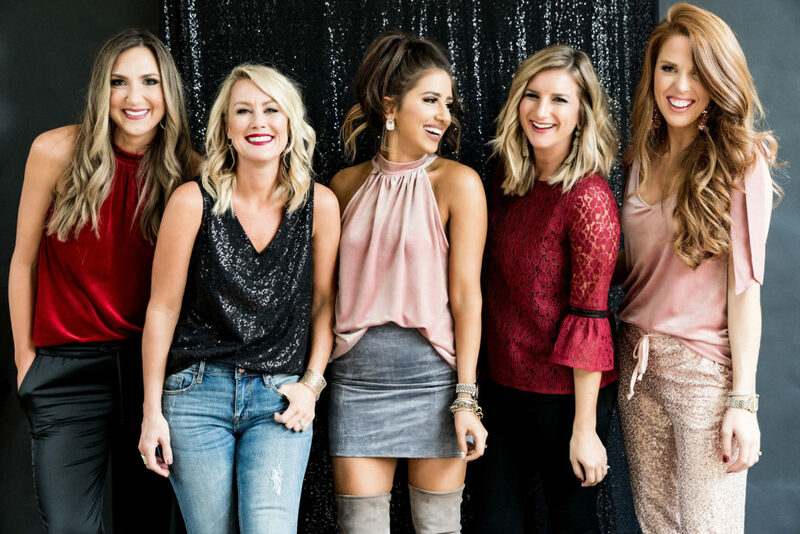 They are each so talented and hard-working, with strong voices and a passion for connecting with others. In a job where cattiness and competition can sometimes prevail, they are the epitome of kindness and community. 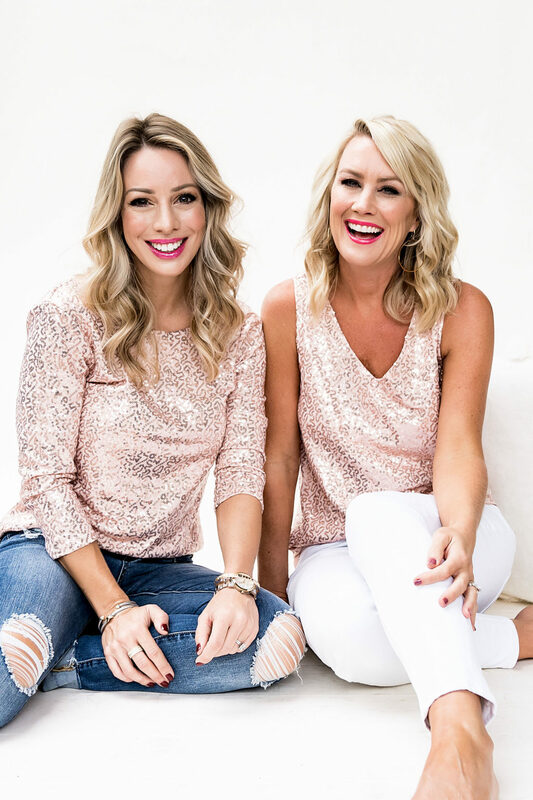 I’m thrilled to introduce you to their signature tops! 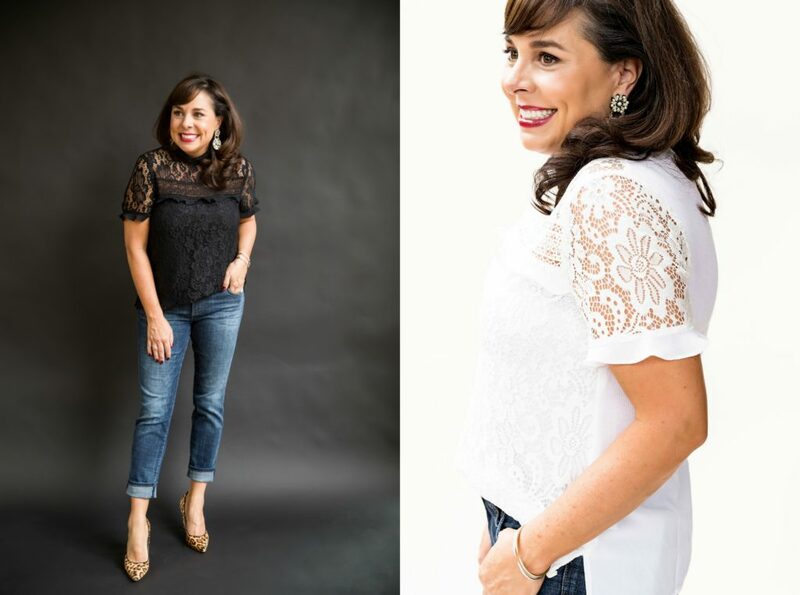 A short-sleeve top with all-over lace and the sweetest ruffle trim on the arms and across the chest. So darling worn under a jacket, too! It’s a lot like Sheaffer…sweet and sassy! Fit Tip: This top runs small for me, I needed to size up one. 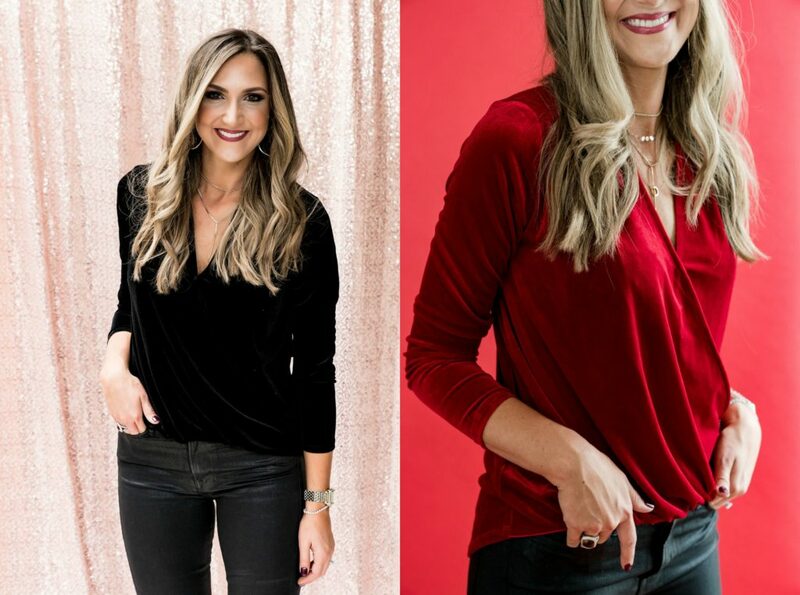 Gorgeous like the girl, this long-sleeve velvet faux-wrap top has the style of a half-tuck, and longer in the back. I love the little snap to keep things closed. Wear it alone, or layer a cami for a peek of silk or lace. 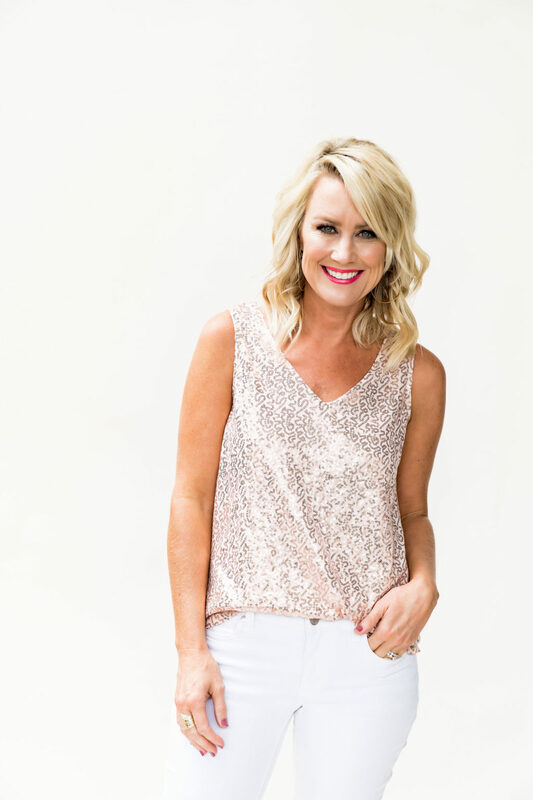 The sweetest girl you’ll ever meet, Megan’s top is the same sequin fabric as my tank, but a flattering boatneck and three-quarter sleeve. The lower back makes it extra special. 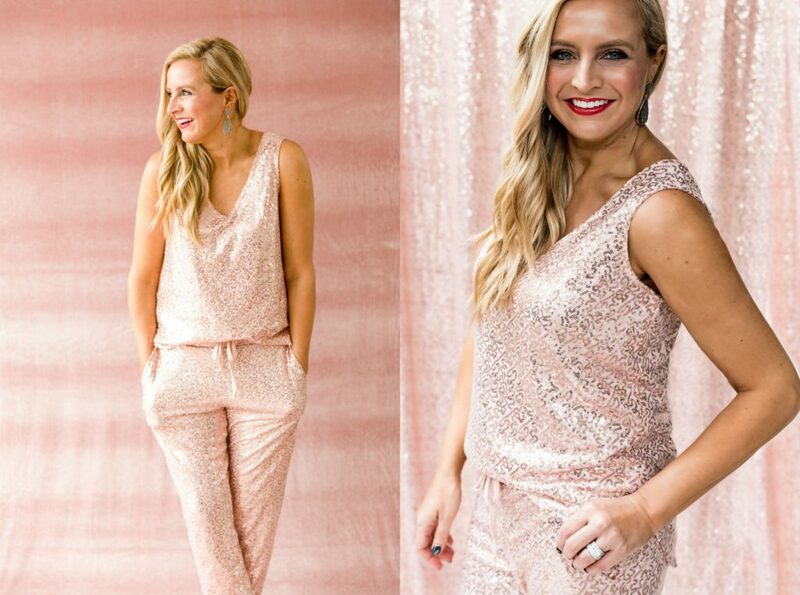 Yes ma’am…the collection includes sequin joggers! But before you raise an eyebrow, let me assure you they are the cutest holiday pant you’ll ever own!! So fun with sneakers, but classy with heels. And even better, they’re fully-lined with the softest cotton knit material, so they feel like pajamas! Trust my girl Ashley, and give these a try! 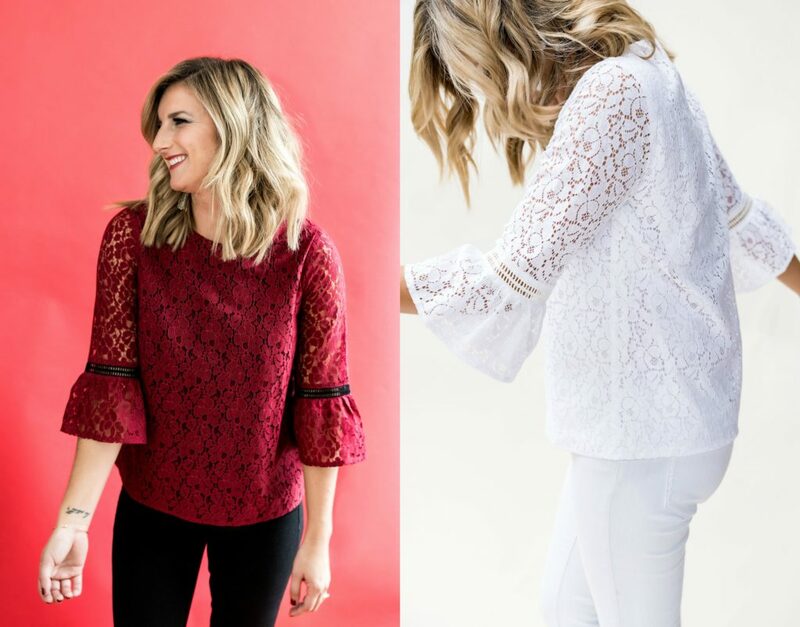 One of Mama Sugarplum’s favorite tops (she got a sneak peek of the collection…I’ll share more of that with you soon), Erin created the perfect lace top that’s festive and demure. The lace sleeves have a fun bell shape, and contrasting trim, and show just a touch of skin. Fit Tip: True to size, I wear an XS. But if you’re in-between, I’d size down. Everyone needs a sassy camisole for holiday, and year-round. Rachel’s satin cami is silky, yet sturdy, and has a striking contrasting lace. Striking is the best word for Rachel, too, don’t you think?! Oh my yes…Tara’s top gives me all the heart eyes! Luxe velvet in stunning holiday colors, with the sweetest ties on the shoulder. And of course, that flattering v-neck I love so much. Fit Tip: True to size, I wear an XS, but I’d size down if you’re small-chested. After shooting our own signature pieces, we couldn’t help swapping tops! 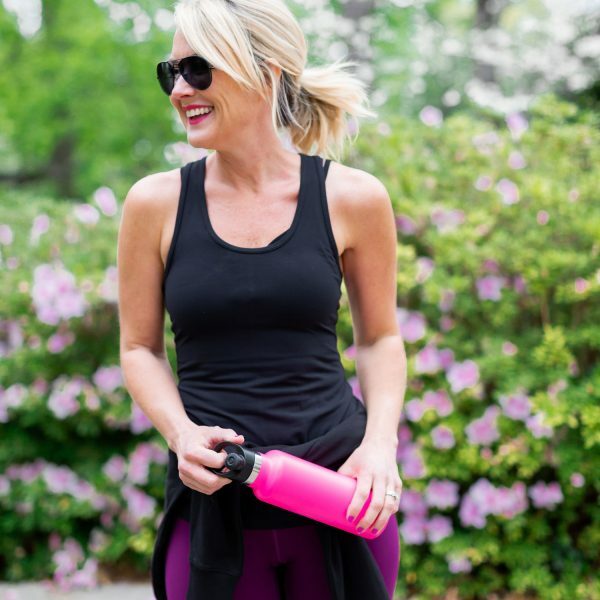 I’m seriously crazy about each and every top in this collection (and those joggers!!!). But above all else, just so humbled to be included on a first-of-its-kind project like this! I’ll show more of it tomorrow, but just know that its the same gorgeous sequin front, with a soft jersey back, and the cutest flutter sleeves. And as if all this weren’t enough excitement, today is also my birthday!! I can’t think of a better way to celebrate than being part of a holiday collection at Nordstrom! Thank you Nordstrom and Gibson for this amazing and humbling opportunity! Not a day goes by that I’m not profoundly grateful to do what I love so much, and have the chance to connect with women all over the world. To share our stories, experiences, and tips for a more joyful life. Truly, no opportunity that comes my ways happens without YOU, and your enthusiastic support means the world. I hope that you find as much inspiration here as you bring to my life every day! With all my heart, thank you! Check out the entire Gibson x Glam Holiday Collection here, and check back tomorrow for more styles and all my favorites. Gorgeous! Your tank drapes and fits beautifully. Would look good w/a velvet pencil skirt or velveteen jeans. All styles are fantastic. Just plain yummy! Yes!! gorgeous with velvet!! I love mixing all the fabrics! Happy birthday Cassie! Beautiful you, beautiful collection! Happy Birthday and well done!! Thank you, thank you Betsy!! Cassie, your top is gorgeous just like you! Happy Birthday and congrats to you and the ladies! It was so hard to choose just one top (darn budget lol) but ultimately went with the Mallory because I think it’ll fit my shape best. Oh my word…that is so incredibly nice! Thank you, Alison! Everything is amazing and so beautiful it’s going to be hard to choose!! Congratulations on the Cassie! Thank you so much, Christina!! I’m thrilled you like it all! Happy birthday! Just ordered the Cassie~can’t wait to see it in person. Happy glammed up birthday :)!! I am so happy for you and wish you all the best today. 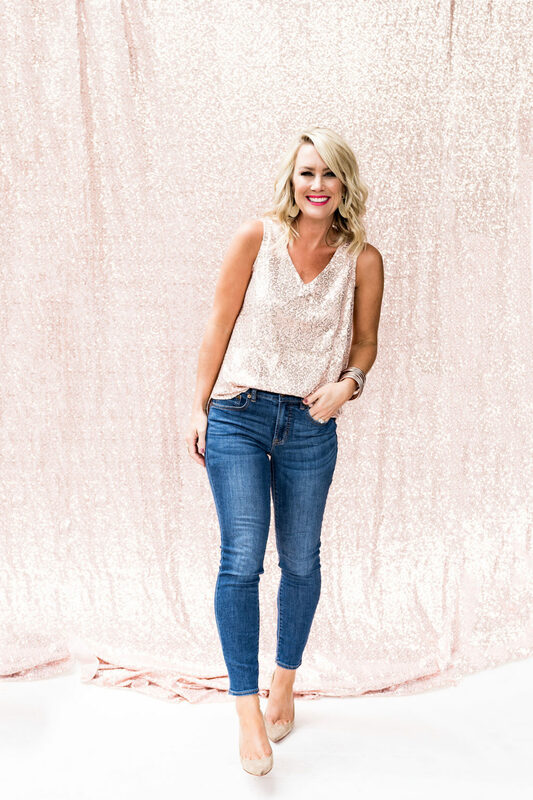 Your Cassie top is my absolute favorite from the collection (no surprise) and I am dying for my order to arrive of the Cassie top in the beautiful blush color. Thank you for knowing what we would all want for the holidays and throughout the year!! Thank you, Jill!! 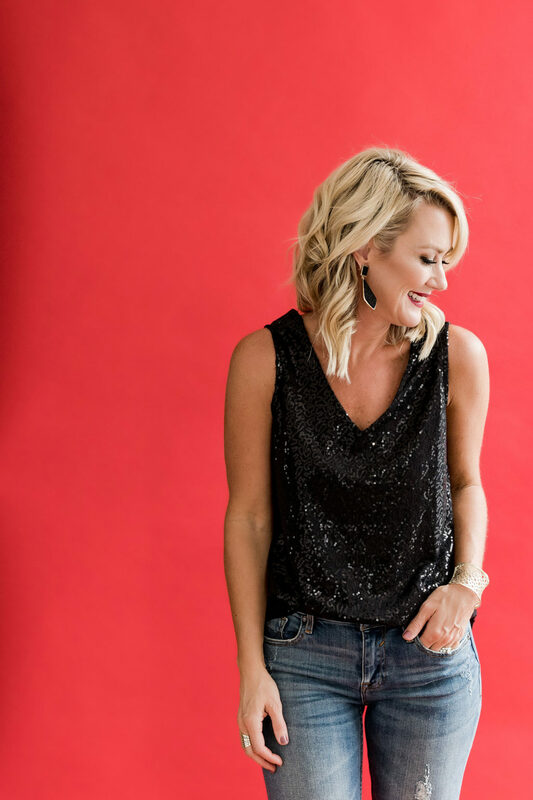 I’m thrilled you love the top and hope it makes you feel beautiful and special this holiday! I love the Cassie and bought one for me and my sisters. Can’t wait to get them and the sequin joggers. Happy Birthday!! I love starting my mornings with your blog. We have very similar taste but most of all I love your positive energy, your sense of humor and style. Don’t ever change! How fun, Robi!!! I hope you and your sisters love the top!! Grabbed mine in black! I think you will be attending countless holiday parties virtually – through your top 😂 Happy birthday to you! The entire collection is so fun. Can’t wait to see more of it. And a request if you have any pull with the designers 😉 I would LOVE to see some tops just like yours, but with a V neck in front and the back a scoop or other appropriate neckline for turning around and reversing – a 2 in 1! On a side note, I may have to hop back online to grab the Cassie in the blush color, too! What a fun idea, Janet!! I hope you love the top, and thank you for the birthday wishes! Happy Birthday, Cassie! What an amazing gift, to be featured in this collection! Everything is gorgeous, and you look stunning in “the Cassie”!! Congratulations! Thank you so much for your kind words, Heidi!! I’m thrilled you liked it! Congratulations! And Happy Birthday. I’m happy to say that I’m going to by the Cassie in black. I’m 57 so that is a perfect layering piece for me. Again Happy Happy to you! Yay! I hope you love it, Kelly! Happy birthday, Cassie! Love the collection and the inspiration that you provide to us all! Make it a lovely day! You girls all look so cheery and festive. Loving the sequin joggers! nice touch! Happy Birthday, Cassie! Today is my daughter’s bday too, a very special day!! The whole collection is gorgeous. How fun and festive! I’m having a hard time choosing, they’re all so lovely! Your collection as absolutely beautiful!! The white pants paired with your sequin boatneck, would you happen to know the brand. They look gorgeous together. Thank you so much! 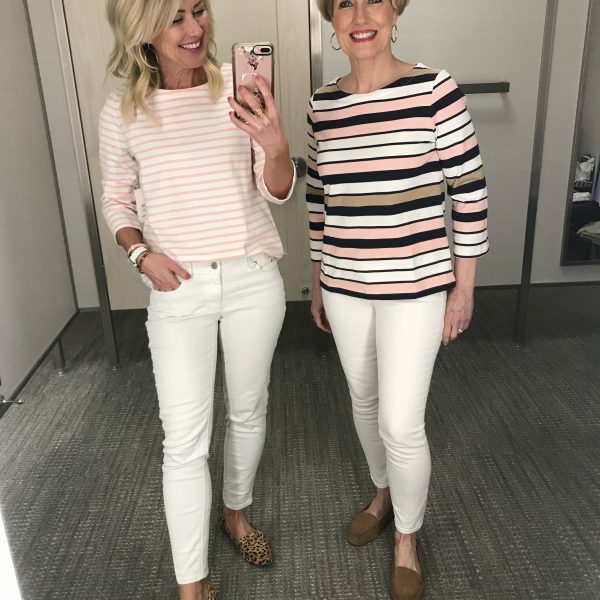 Those pants were borrowed from Erin…Leith brand! But I can’t find them online!!! Cassie. Lovely collection and what a nice bunch of ladies to work with! All different and unique. Happy birthday! Thank you!! These women are so amazing! Happy Birthday and many congrats all around on the Great holiday collection! Cassie, I just found your blog this weekend and I love it! You have so many great posts. I love the travel ones and of course, style! 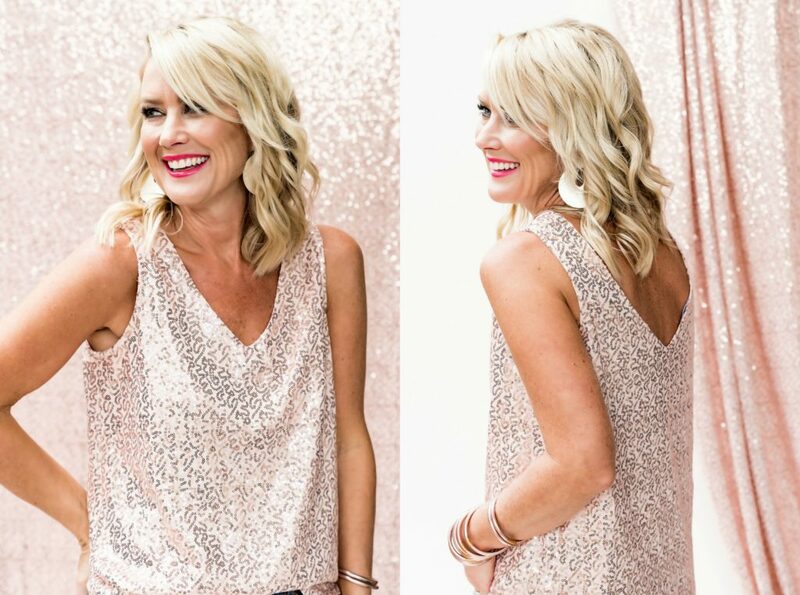 Love, love your sequin top along with the whole collection. Thanks so much, Jessica!! I’m thrilled you find inspiration here! Hi Cassie, these look great! In one of the photos, there was a tall blonde wearing “The Cassie” shirt with a white blazer, black pants, heels, a long gold necklace, and a leopard clutch. Do you have the links to those other pieces? I love the look! I love all these tops! They look amazing on everyone! However, every single lady is an extra small. What do these look like on a medium/ large? I love your looks but it would be really helpful to see someone who wears a size 10 in anything. 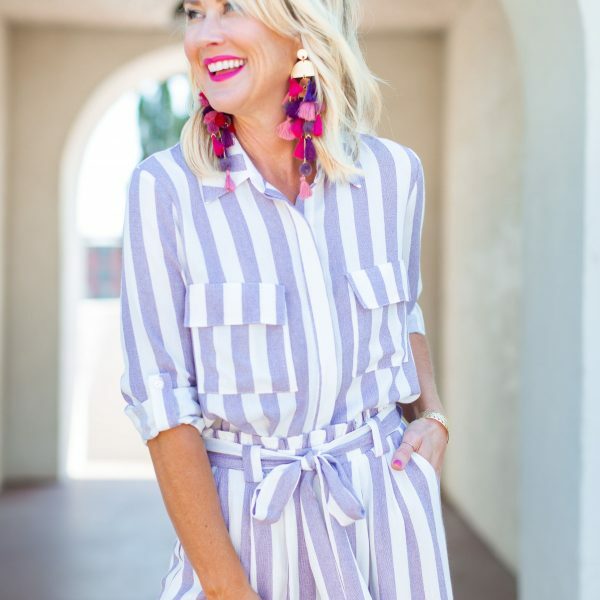 Do you have any recommendations for a fashion blogger that is a different size? Hi Jen! The bloggers in the collaboration range from petite to tall, and wear everything from an XSPetite to regular Medium. 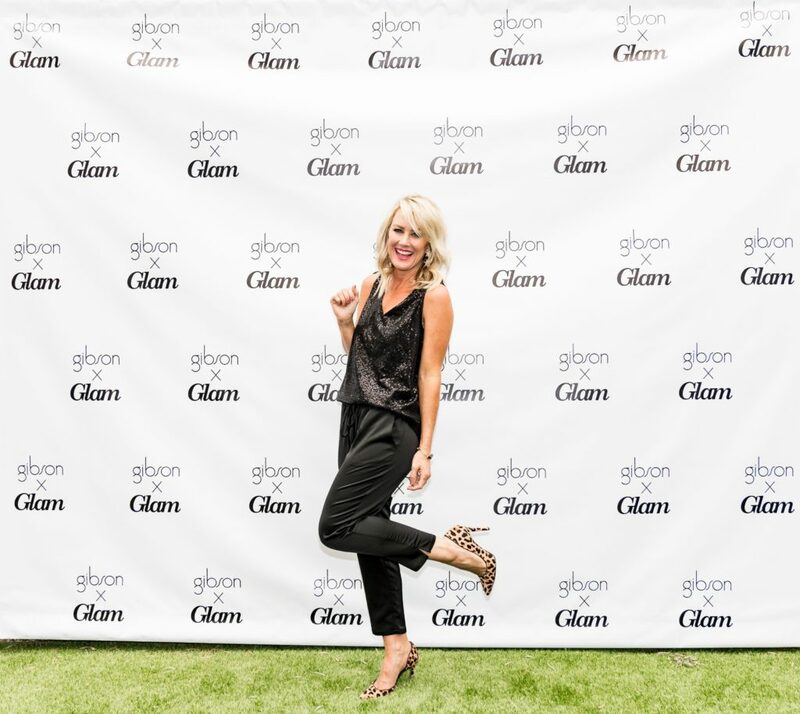 What’s so fun about these collaborations is following along on social media as readers share their tops under the #gibsonxglam…that’s a great place to see women of every size and shape! Seeing those is my favorite part of these!! Happy birthday, Cassie! The “Cassie” looks gorgeous on you, and I just love the dark red lipstick you have on in the pictures of you in the black color. You look amazing! Thank you so much, Heidi!! 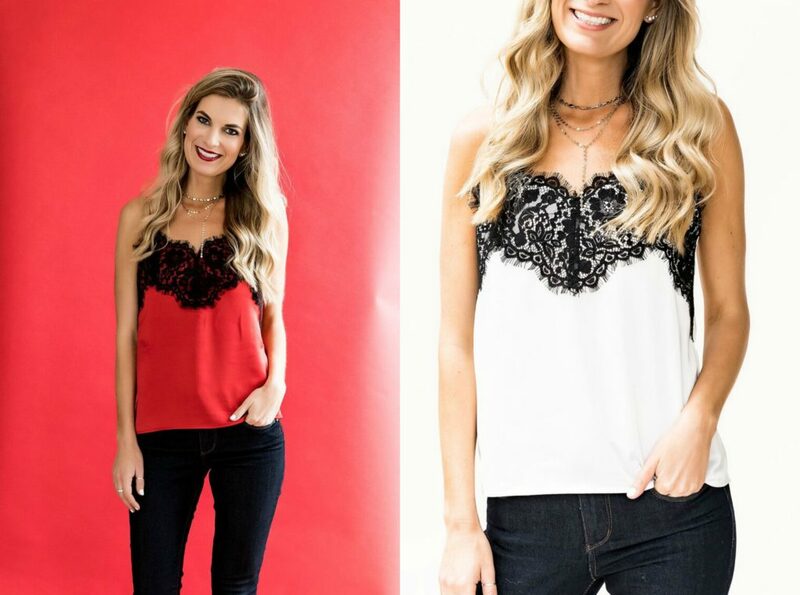 Love all of the holiday tops, but especially the Cassie! Can not wait to try it for the holidays!